eBook Blaster Now you can quickly, in just seven easy steps, create your own fantastic eBook in less than 5 minutes! Discover how thousands create and self-publish professionally designed eBooks and interactive, multi-media courses that produce millions in revenue, and how YOU can very easily be one of them. 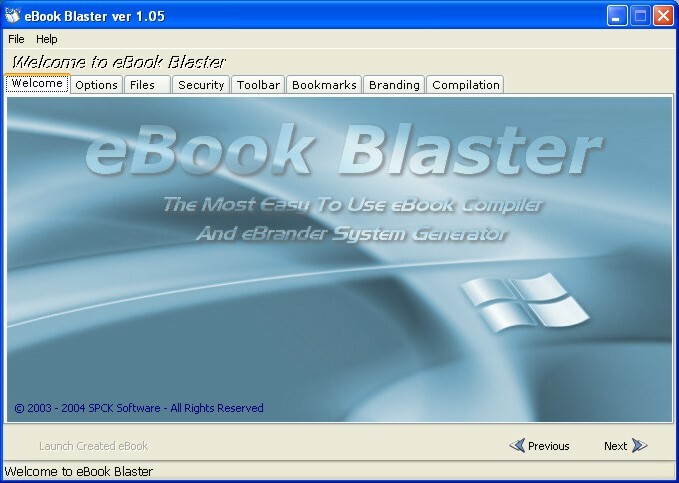 We included every imaginable feature you could ever want in an eBook created by eBook Blaster! No matter what stage you're in with the creation of your eBook projects, eBook Blaster is designed with your desire to be creative and and appear professional in mind. This doesn't even scratch the surface of what you'll be able to do with this software on your desktop. The fact is, with as many self-explanatory features and options eBook Blaster provides you, you're only limited by your own imagination. The possibilities are more than endless. A-book - Handy digital address book software with many useful options for home and office use !